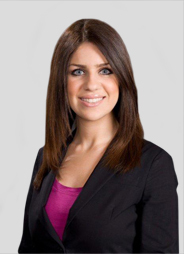 Sanaz Alempour is a partner at the firm’s Fort Lauderdale West Office. She concentrates her practice on state and federal litigation matters, including construction litigation, general civil litigation, hospitality industry defense, professional malpractice and product liability, premises liability. Ms. Alempour earned a Bachelor of Arts in Business Administration from the University of Florida and Juris Doctor from Nova Southeastern University. While in law school, Ms. Alempour served as the Lead Articles Editor of Nova Southeastern Law Review. Her article entitled “Judicial Recusal & Disqualification: Is Sexual Orientation a Valid Cause in Florida?” was published in the 32nd edition of the Nova Southeastern Law Review in the spring of 2008. Ms. Alempour is admitted to practice before all county and circuit courts in the State of Florida and the United States District Court for the Southern District of Florida.